Survivor: Redemption Island (2011) - 13th place, 6th out. Voted out in Episode 7, "It Don't Take a Smart One" (Day 18). Eliminated in a duel (by Matt Elrod) in Episode 8, "This Game Respects Big Moves" (Day 19). Cumulative totals: In-game - 18 days; Redemption Island - 1 day. Redemption Island Ep.1 RC/IC: "Push It Uphill" - Pushes blocks, observes the puzzle, and Zapatera wins! Redemption Island Ep.2 RC/IC: "Smash, Grab, Smash" - Grabs a key, and Zapatera wins again. Redemption Island Ep.3 RC/IC: "Spin Cycle" - Sits out; after David throws the puzzle, Zapatera "loses." 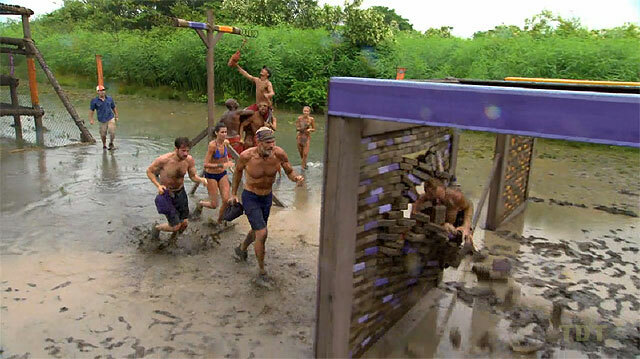 Redemption Island Ep.4 RC/IC: "Toolin' Around" - Does the bridge plank puzzle with Stephanie; Zapatera wins. Redemption Island Ep.6 RC/IC: "Beach Balls"- Sits out for Zapatera; Zapatera loses. Redemption Island Ep. 8 duel: "Chimney Sweep" - Makes a solid effort, but unable to beat Matt (2nd/2). Redemption Island, Ep. 6: Two votes, from David and Stephanie. Redemption Island, Ep. 7: Four votes, from Mike, Steve, Julie, and David (voted out, 4-2). Enjoying Russell's ouster in the Ep4 duel. So funny! And done. Final pre-juror, Ep8. Gordon Holmes at XfinityTV.com (4/7/11): "Castaway Interview: Sarita White"
Rob Cesternino at RHAP (4/7/11): "Sarita White Sticks It to Her Tribe on Survivor"
Daniel Fienberg at HitFix.com (4/9/11): "Sarita White talks Survivor: Redemption Island"
"Personal Claim to Fame: Getting from point A to B without a dollar in my pocket, only my own ambition to get there. 3 Words to Describe You: Sagacious, wily and influential. 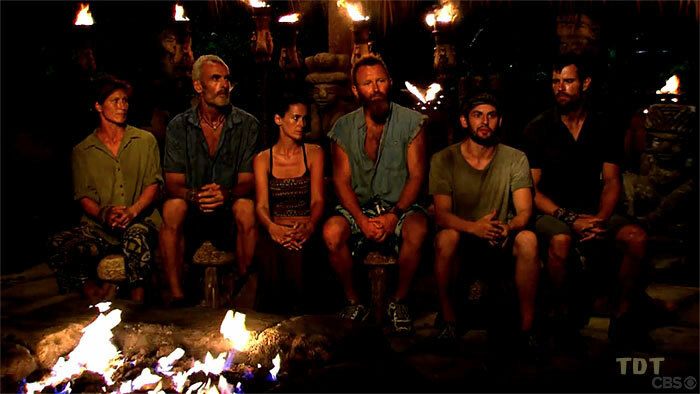 Survivor Contestant You Are Most Like: Some strange combination between Courtney with her awkwardness in challenges and James with his kindness and blind loyalty. Why you think you'll "survive" Survivor: My earliest memories are of my hippie parents living in the yurt we built from scratch. Our garden, our outdoor shower, ourpretty little outhouse - I know how to live in the most basic way."